BEST OF HOUZZ (2015, 2016, 2017 & 2018) • Award Winning Service • Quality Name Brand Products • Competitive Prices • 110% Low Price Guarantee • Locally Owned & Operated Since 1998 • FREE In-Home Design Consultations ABOUT ADVANTAGE With a simple mission in mind; provide our customers with a quality product, a fair price and outstanding customer service, Advantage has built a strong reputation in the Metro area as the premier window treatment company. OUR PRODUCTS Advantage uses only high quality products like Hunter Douglas, Norman Window Fashions, BXP, Alta, Window Fashions, Horizon Shades and more. Specifically designed to give you years of reliable service, and more importantly, a beautiful look for years to come, you will love the results. OUR CUSTOMER SERVICE We pride ourselves on excellent customer service, from the initial consultation to the final install. Our consultants and installers have years of experience and factory training to ensure every project can be the best. That is why Advantage has received more "A" ratings from Angie's List members than any other company in our category. *Hunter Douglas Authorized Dealer* We are a Hunter Douglas Gallery Dealer located in Shelby Township, MI, and we've been serving the Metro Detroit area for over 35 years. From the initial design consultation to the expert installation and beyond, we are dedicated to helping you discover the custom window treatments that will suit your needs in style, function, privacy and light control. The Sheer Shop also provides contract grade window treatments at competitive prices for commercial buildings. 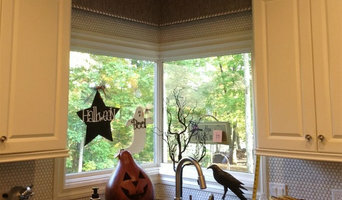 Sew Perfect Draperies is a window treatment design and fabrication studio. 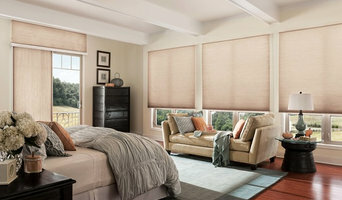 Transitions Drapery offers a full range of window treatment products and custom bedding. Beyond our in-home clientele, we also proudly serve the design trade, providing consultation, measuring, fabrication and installation services to designers and decorators throughout Oakland, Macomb and Wayne counties of the metro Detroit community. *Hunter Douglas Authorized Dealer* At Interior Services by Peter Maurer, our goal is to provide our customers with incredible window treatments, blinds, and curtains that can complete their homes. Since 1975, we have also provided exceptional customer service to hundreds of clients by personalizing their experience and offering follow up service for many years after the initial installation. With experience as a Hunter Douglas Master Installer, our team is here to help and look forward to hearing about your next project. Family based business that has been servicing the retail trade for over 35 years. We offer factory direct custom made window treatments. 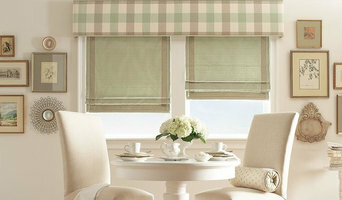 We carry Blinds, Shades, Plantation Shutters and Custom Drapery products. 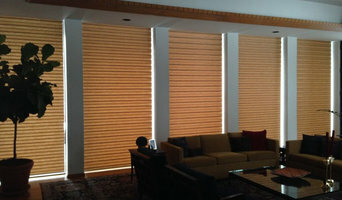 We carry famous brands such as Hunter Douglas, Graber, Timber, Worldwide and many others. Our highly trained consultants will come to your home and provide the best answers to your window covering needs. We offer Free in home estimates Monday thru Saturday. Evening appointments are available. Installation is Free of charge on orders over $499. Our highly experienced installers will ensure a professional installation. Our prices are the best. We offer very competitive prices along with great service. Our designers are committed to your complete satisfaction. 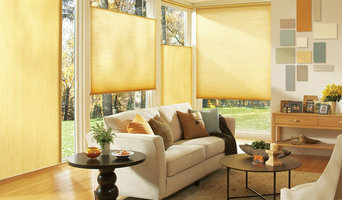 Ann Arbor MI You'll find more than great window coverings with us. Whether you are shopping for a single window treatment, redecorating your entire house or seeking the solution to a complex design challenge, you'll find great people who have the knowledge and expertise to help you put it all together. Since we're locally owned and operated, we take our long-term commitment to the community seriously, and we are proud of the professional products and services we provide. We are here now - and we'll be here in the future when you need us again. Call on us for your next design project! Interiors by Bonnie is a full service interior design studio that has been established for over 40 years. As a family business, we understand the value of our clients and take great pride in establishing relationships with them, while designing their homes. Each client receives an individualized approach and unique concept. Both Dawn & Debbie have over 20 years experience each and still strive to maintain high standards in continuing education. With all of this combined, you are assured that your design will fit your lifestyle, design approach, and budget. Created in 2006, Window by Design offers in-home custom window treatment design services. Offering custom draperies, panels, roman shades, valances and cornices as well as blinds, shutters and shades in the western Wayne and southern Oakland county areas. I provide personalized service to meet your needs and budget. I follow your job from initial consultation and fabric selections to production and installation. I come to your home bringing not only all the samples, but also great ideas and years of experience and expertise. I follow your job from design and measuring to creation and the professional installation. Customer service and attention to detail are the main focus. Call to speak with me directly and we'll set up your FREE initial consulatation. Exciting Windows! by Couture by Karen, Custom Drapery and Blinds, is a “Shop at Home” retailer of custom drapery and hard window coverings by Hunter Douglas, Graber and Norman Shutters. Couture by Karen is also an authorized dealer for Lafayette Interior Fashions, Eastern Accents, Horizons by B&W and Specialty Group stage drapery.